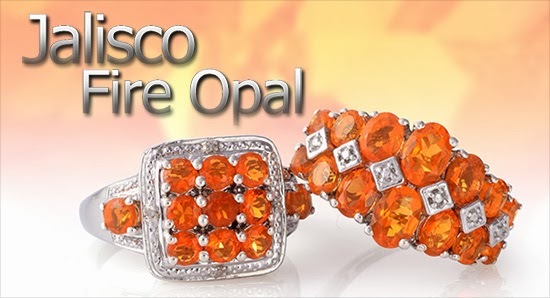 Fire opal is not your typical white with play of color opal but it is a gemstone that will surprise you! This very unique variety of opal is considered ‘non-phenomenal’ meaning that it does not have the more traditional white background with the expected play of color. However, what it does have is a striking and very vibrant range of warm body colors! Hues of yellow, orange, and even red are the trademark colors of this vivid gemstone, recognized today as the national gemstone of Mexico. 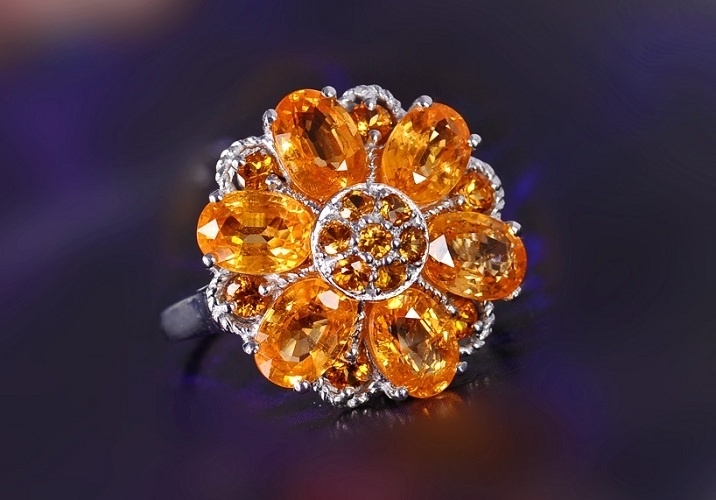 Fire opal is beautiful and durable with a rating of 5.0 – 6.0 on the Mohs hardness scale. It has an amorphous crystal structure and is a hydrated silicon dioxide, consisting of 3% to 10% water. Unlike other opals, fire opal can be translucent to transparent and higher grade specimens are often faceted. Fire opals are unique in the lush world of the opals. They were admired as symbols of the most fervent love in ancient times. Fire opal was indeed born in fire, in the ancient volcanoes of Mexico, when water seeped into the silica rich lava that filled the seams and hollows. Intense heat and pressure applied the final magical touches, trapping the water in the structure. Small pebbles of fire opal are found embedded in lava flows. Today, the fiery colors of fire opal remind us of this gemstone’s fiery beginnings. Fire opal was known to the ancient Aztecs as “qetza-litzle-pyolliti,” probably after Quetzalcoatl, the Feathered Serpent, god of death and resurrection, giving it the title “the bird of paradise stone.” Ancient Aztec artifacts dated to around 1200-1520 AD include inlaid artworks, figurines and jewelry. Mayans and Incas are also believed to have used fire opal for mosaics and their sacred rituals, handed down generation to generation. However, as those ancient civilizations disappeared, fire opal also faded into oblivion. Fast-forward to 1835 when the bird of paradise stone rose again as a brilliant phoenix from the Jalisco mines in the Mexican highlands where mining continues today and this bold, fiery stone is once again treasured and collected by gemstone connoisseurs all over the world.